With more than 1,200 square miles within its borders, Yosemite National Park in the Sierra Nevada Mountains in California is nearly the same size as the entire state of Rhode Island. In 2012, Yosemite drew 3,853,404 visitors, making it the third most-visited national park in the United States. Then President Abraham Lincoln first set the area that would become Yosemite National Park aside for protection in 1894. 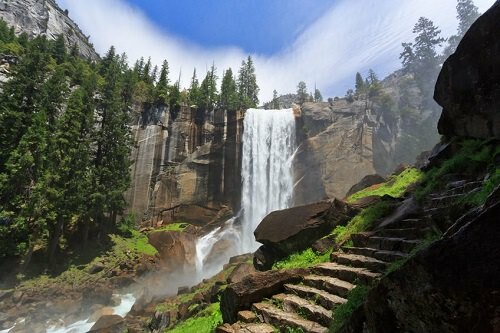 Popular with rock climbers, Yosemite’s waterfalls are also major tourist draws.